Shown in White and Apple. 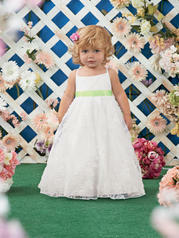 Organza sundress with spaghetti straps and full embroidered organza skirt. Satin ribbon. Available in any combination of two colors.